We demolished the snack mix almost instantaneously, so I moved on to play with the cookie cutter. 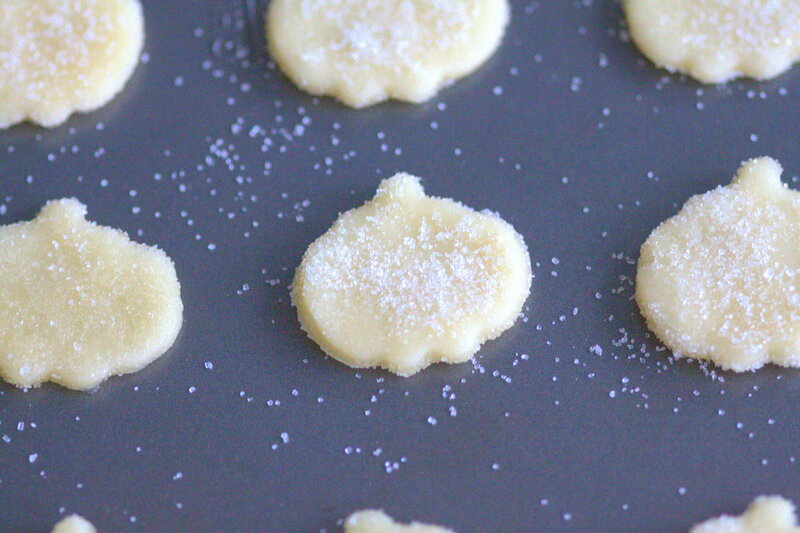 I could have made traditional sugar cookies, but I thought this little guy would also work perfectly with one of my favorite holiday cookies that we refer to simply as “Sandwich Cookies” because, well… technically they are. They are essentially a sandwich of two tiny wafers, sweetened only by the sugar they are rolled in and a dollop of frosting. Normally we would make these cookies for Christmas, and normally I wouldn’t add any pumpkin flavor, but these are different. They’re pumpkin shaped, so they damn well better live up to their pumpkin-y personas. 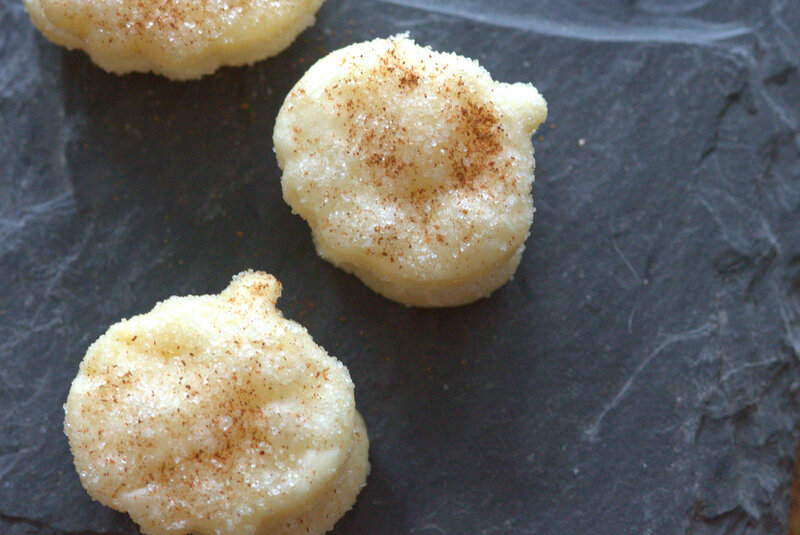 When all was said and done, a little sprinkle of cinnamon on top made them just a bit more seasonal. The pumpkin flavor is extremely subtle. It is present thanks to a little bit of canned pumpkin (perfect for using up leftover pumpkin!) and some pumpkin pie spice in the frosting. I know that pumpkin gets an awful lot of attention this time of year, but pumpkin season only comes around once a year, and I don’t want to miss out! It’s worth celebrating. 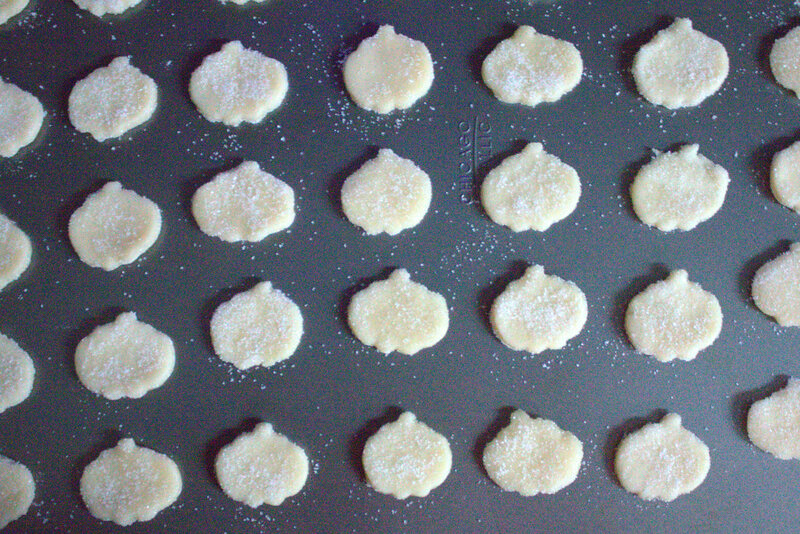 Every year I shall have one pumpkin spice latte, and I shall bake at least a few pumpkin treats. And you can’t stop me. 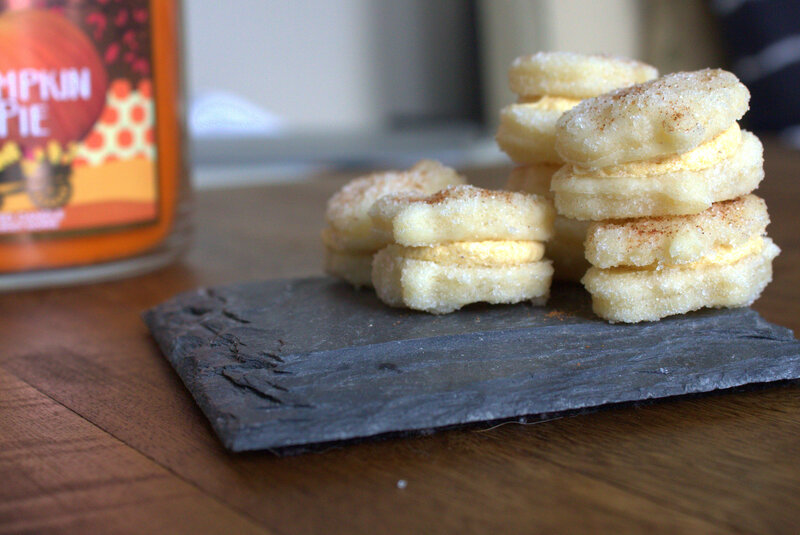 Here’s the recipe for Pumpkin Spice Sandwich Cookies!! Mix the first three ingredients together and chill for one hour. Preheat the oven to 375. Roll dough to 1/8 in. thick. 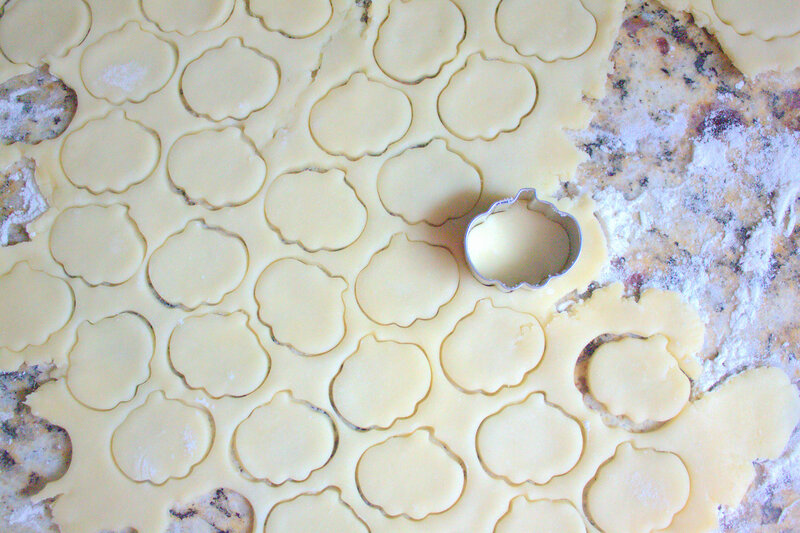 Cut into 1 1/2 inch rounds (or use an adorably shaped cookie cutter). Transfer to wax paper. Sugar both sides with granulated sugar. Place on ungreased cookie sheet and prick with a fork (to allow steam to release while baking). Bake for 7-9 minutes. Once cooled, sandwich with icing. For icing, mix all ingredients together. You may add more confectioners’ sugar if necessary to get the desired consistency. I did not use food coloring, but if you’d like to enhance the color, a little food coloring would go a long way! 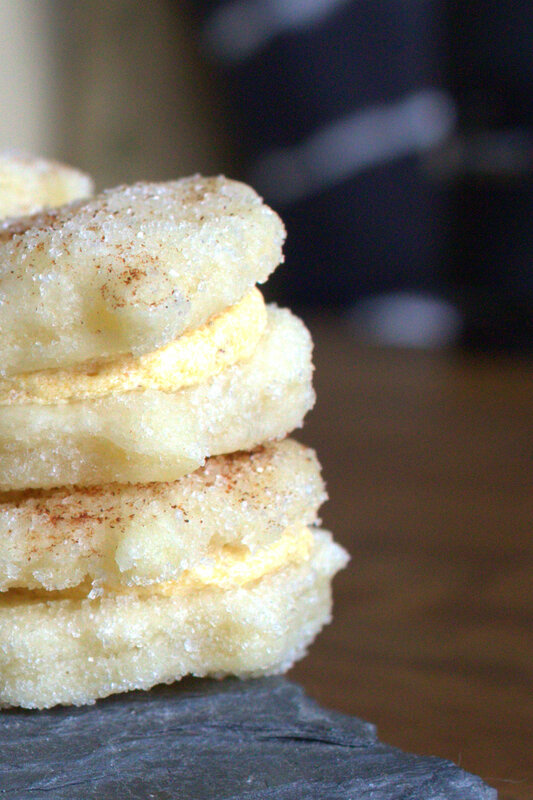 Finally, once the cookies are successfully “sandwiched”, sprinkle the tops with a little more ground cinnamon. 🙂 Another good recipe another good idea, and more beautiful food photos!